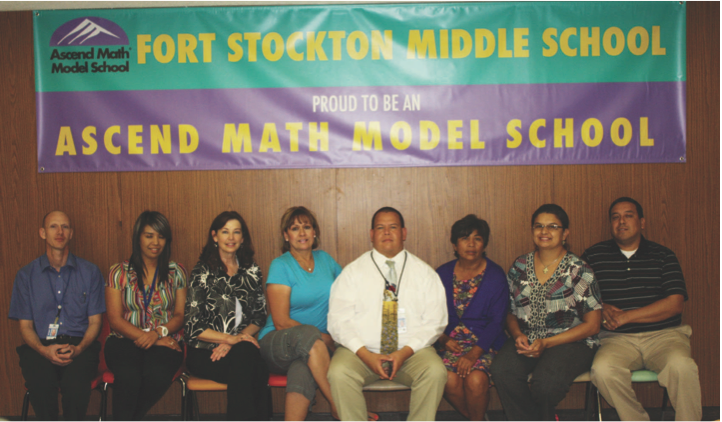 Fort Stockton Middle School displays their Model School Banner. Photo credit: Fort Stockton Pioneer. What is an Ascend Math Model School? The Ascend Math Model School program was developed to honor those schools and individual educators who achieve great results helping their struggling math students get back on track quickly. All schools and classrooms that set goals to achieve great results using Ascend Math are eligible. A Celebration Banner to hang inside or outside school. Click here to download the program description and forms. Or call Ascend Education at 877-843-0277.